Editor’s note: This article is a little different than most—rather than a post written by Walter, it’s actually a talk someone else gave in an Easter Sunday sacrament meeting. This individual sent his talk to Walter, which is how you’re reading it today. Walter has added some additional links for the reader’s enjoyment, and the editor has edited for further clarification and understanding. We hope you enjoy this post! I love Easter and all that it represents. When you consider what the Savior went through and what the Atonement required, the depth of His humility is truly astonishing. 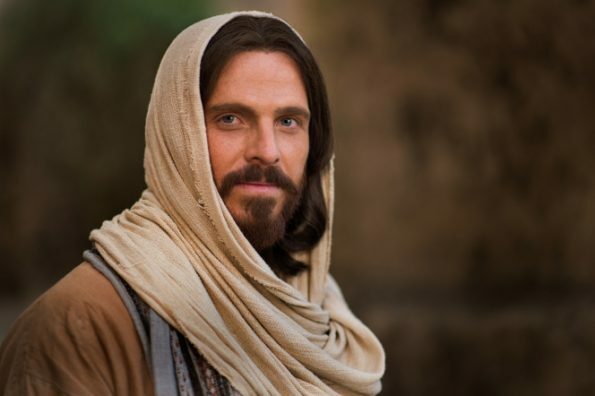 He gives His Father all the glory and simply says, “I partook and finished my preparations unto the children of men.” In other words, “I did what I said I would do, and I did it for mankind.” Could there ever be a greater understatement than this? Rightfully so, we are amazed at the love Jesus offers us, confused not just by the grace He proffers us, but also by the astonishing array of Godly attributes He exemplifies. And so it is with all the blessings and opportunities that come to us because of the Savior. When was the last time you took a breath and thought, “I’m so grateful for air”? My son Ryan worked as a river guide. On one trip down Westwater Canyon, he was ejected from the boat into one of the large rapids. A strong undercurrent held him under the water and churned him around for a while before releasing him. As he struggled to get to the surface, he bumped up against the bottom of the raft. Just as he was about to clear the edge of the boat where he could draw a much-needed breath, the current grabbed him once again and pulled him down. It grew darker, and in the tumbling, he couldn’t tell which direction was up. Just as he was thinking he was finished, he popped up to the surface quite a distance from where he started. On that day, Ryan had a new appreciation for air (and life). When is a drink of cool water most satisfying? When does food taste most delicious to you? When are you most grateful for good health? After these things have been denied for a time. But try as we might, it is difficult to keep that heightened level of appreciation once the need is met and the pressure is relieved. In my lifespan, I figure I have partaken of the sacrament somewhere in the range of 2600 times. The sacrament embodies the fulfillment of the Atonement—a series of events that permeate, transform, and holds together all things. It serves as a weekly reminder of what Christ did for us. Those small emblems are the symbols of Christ’s victory over sin and death. But it pains me to admit that during many of those sacrament services, my mind was not on the task at hand—it wandered off onto lesser things. At times, I was merely going through the motions and not appreciating this precious gift that was given at such a staggering cost. I remember a talk about a woman that was unable to partake of the sacrament for quite some time due to a serious transgression. Eventually her heart softened and, with great effort, she fully repented and made her way back to full fellowship. Imagine what it would be like to partake of the sacrament after years of not having that privilege? How sweet and meaningful the words of the sacrament hymn would be, and how significant the words of the sacrament prayers! Your heart would beat faster as the tray made its way down the row toward you, and then, to place that small piece of bread to your lips…! You wouldn’t be taking the sacrament for granted on that day. But all too soon, human nature kicks in and the struggle begins anew to remember and to appreciate. That’s why we do this each week—to bring these things to our remembrance. That is why we celebrate Easter—to remind us of what Christ did, and then to feel gratitude. The sacrament will be meaningful to us only to the degree we are taking advantage of it. If we come to church with little or no offering (feeling no need to repent), the sacrament will have little to no significance to us. 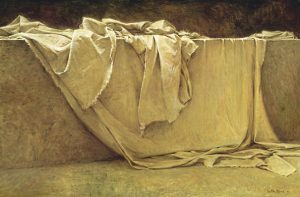 So one way to increase our appreciation for the sacrament is to bring something we can figuratively “lay on the alter”—some burden, sin, bad habit, or other fault we bring with us. Then, we thankfully allow the Lord to lift it from our heavily-laden backpack. Just taking the sacrament does not automatically wipe the slate clean each week—we still have to complete the terms of repentance. But when we do this, the sacrament can cleanse us as if we had just been baptized. We don’t need to lose our membership or go without the sacrament for a year in order to relish its cleansing and healing power. All we need to do is identify some aspect of our life where we have fallen short, take corrective action, and come to the sacrament service with an offering to the Lord. The sacrament will take on greater meaning and we will be less distracted as we come to see it as a time to unload our burdens at the feet of the Savior. The Church has produced some excellent Easter videos. One of my favorites is entitled “Hallelujah—An Easter Message about Jesus Christ.” After reciting meaningful verses of scripture, each participant holds up a picture of a dear family member that has passed away—someone they long to be reunited with. The first time I saw this video, it impacted me deeply. It made me think of my father. My heart suddenly longed to see him again, to feel his hand on my shoulder and look into his smiling eyes. I miss his wisdom, his gentleness, his loving guidance, and inspiring example. Whose picture would you hold up? Perhaps a parent, sibling, grandparent, child, or spouse? When I think about that future day of reunion, it deepens my appreciation for this astonishing gift. Another video entitled “Because of Him” has stirred my thoughts this past week. I’ve found myself pondering blessings that come to us because of Him. In fulfilling the requirements of the Atonement, Christ has unlocked countless blessings, gifts, and opportunities that impact us in past, present, and future ways. Compiling a list has helped me recognize things I sometimes take for granted—things we would not have if it were not for Christ. Because of Him, there are angels, heavenly visitations, scriptures, apostles, prophets, and revelation. Because of Him, death has no permanent sting, the grave has no victory, and we have agency, accountability, salvation, and exaltation. 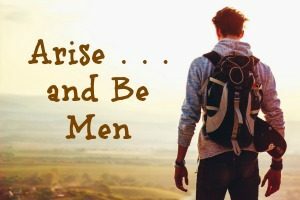 Because of Him, we have priesthood, patriarchal, and father’s blessings that provide healing, comfort, strength, guidance, and meaning in our lives. Because of Him, our prayers instantly transcend vast distances of space and our words reach all the way to the throne of God, no matter who we are, where we are, or how quietly they are uttered. Because of Him, there is a grove called sacred, and places like Eden, Gethsemane, Golgotha, the Garden Tomb, the Hill Cumorah, and Adam-Ondi-Ahman that hold special significance for us. Because of Him, guilt can be replaced with peace, regret can change to relief, and despair can give way to hope. Because of Him, we have temples, sacred covenants, and holy alters where individuals are bound together forever into family units. Because of Him, we have scripture, sealing, and priesthood powers, miracles, scripture heroes, and pioneer stories of faith and sacrifice. 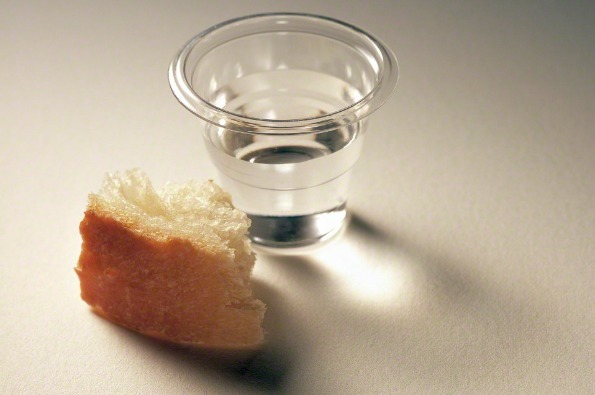 Because of Him, a small piece of bread and a tiny cup of water can renew, cleanse, and make us whole. There is nothing so dirty that He can’t make it worthy, nothing so broken that He can’t mend it, and nothing so lost that He can’t find it. To read more of Walter’s articles, click here. Because of Him, we have forgiveness, second chances, clean slates, and new beginnings. There is no such thing as a lost cause, and what we often perceive as the end is just another door. In fact, because of Him, there is no end. May we strive to find ways to show greater appreciation for, and not take for granted, the blessings and precious gifts the Savior has provided us. May we show our gratitude by the way we live our lives and the way we treat others, acting as disciples of Jesus Christ. 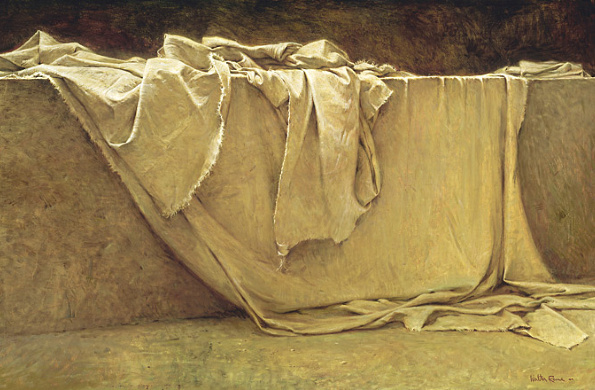 On this Easter morn, the messages from a thousand sermons can be summed up in just two words: “He lives!” There is so much meaning packed into those words. 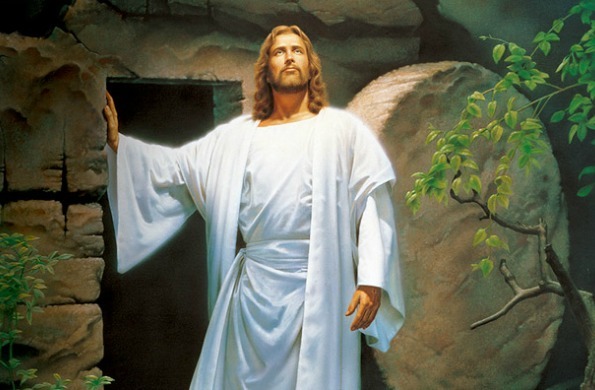 Christ lives and He loves you. Hallelujah! In 1989, Walter Penning formed a consultancy based in Salt Lake City and empowered his clients by streamlining processes and building a loyal, lifetime customer base with great customer service. His true passion is found in his family. He says the best decision he ever made was to marry his sweetheart and have children. The wonderful family she has given him and her constant love, support, and patience amid life's challenges is his panacea. Copyright © 2019 LDS Blogs. All Rights Reserved.